Just because you’ve reached the age where you’re paying off student loans and applying for mortgages doesn’t mean your love of toys has to be abandoned. In fact, nowadays toymakers usually target adults as much as children, so there’s no shame in asking for action figures, games, and other collectibles this holiday no matter how old you are—especially if it’s one of these. 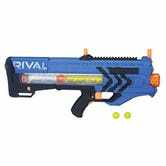 A few years ago the makers of Nerf realized they were losing customers as kids simply grew too old for the pretend blasters. 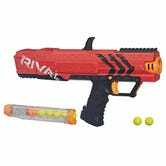 So to keep teens interested in the brand, the Nerf Rival line trades darts for small foam balls that come blasting out of the barrels at an awesome 70 miles per hour. They also carry more ammo, are much easier to reload in the heat of battle, and come in both manual and automatic models. 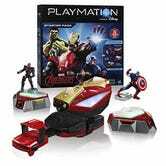 Part role-playing toy, part action figure line, and part mobile game, Disney and Hasbro’s first “Playmation” series—created to keep kids active while playing rather than just sitting around staring at a touchscreen—is all about the Avengers. Kids (or kids at heart) scan the figures onto their respective bases, and then using a combination of the Iron Man repulsor wrist toy and the AvengersNet app, go on missions that task them with running around, jumping and dodging supervillain attacks, and generally being one of Earth’s mightiest heroes. And new missions get downloaded to the app on a regular basis! 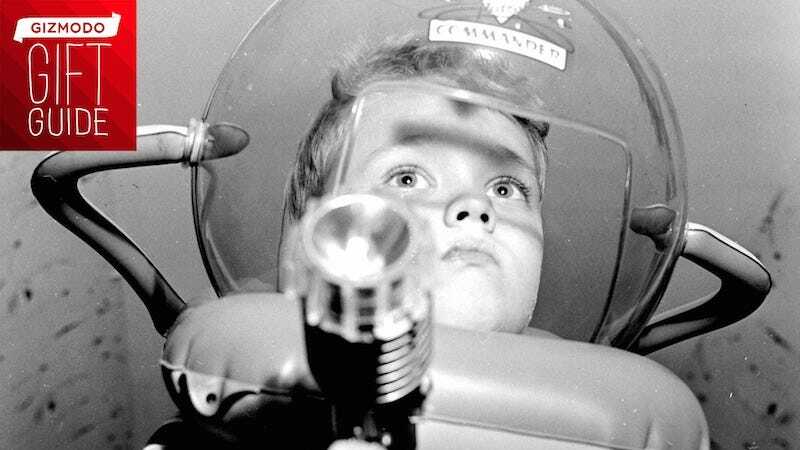 It’s not uncommon for a movie tie-in toy to become a huge hit after a film hits theaters. But months before its release date? 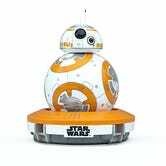 After just a couple of teasers for Star Wars: The Force Awakens the little rolling BB-8 droid won the entire galaxy over, and Sphero was able to leverage its existing technologies to create a near perfect replica of the character controlled by your smartphone. It’s been months since she (yes, BB-8 is a she) was released, and demand is still high for the toy, so you might still have to hunt a bit to put one under the tree. For many fans, this classic Bruce Timm cartoon series is still the definitive Batman. All these years later, the show finally has its own definitive toyline, too—and said toyline now has its definitive vehicle. 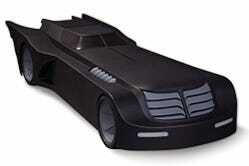 Perfectly capturing the sleek aesthetic of the Batmobile in the show, this 24-inch replica has moving wheels and functioning headlights, and is scaled to fit up to two different figures from the 6-inch Batman: The Animated Series range. Children of the ‘80s have long since grown up, so isn’t it time for the Transformers they used to play with to mature as well? 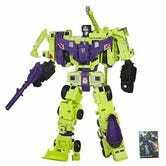 To a 10-year-old, Hasbro’s original Devastator seemed monstrous, and to a 40-year-old, this new two-foot-tall Combiners Wars Devastator is just as towering. It comes with an equally gargantuan price tag, so it’s a good thing most of those millennials are now gainfully employed. 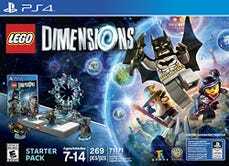 Available on a plethora of gaming platforms, the selling point of Dimensions isn’t just that it features Lego toys, but is a mash-up adventure featuring DC superheroes, Lord of the Rings, The Simpsons, Ghostbusters, Back to the Future and many, many more pop culture icons. 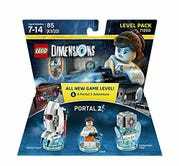 The starter pack comes with the game, the toy-scanning portal, and the four basic figures you need to play the game: Batman, Gandalf, The Lego Movie’s Wyldstyle, and a Batmobile vehicle. 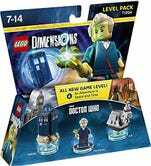 You can then expand the fun with more characters andsets, like Portal and Doctor Who. While the Starter Pack set has an MSRP of $100, there are various Team, Fun and Level Packs available from $15-30 each. We’ll always have a soft spot for a mountain of regular rainbow-colored Lego bricks, but it’s all but impossible to resist those theme sets when the company releases adorable versions of characters like WALL•E. This 677-piece set was designed by an actual Pixar animator named Angus MacLane who actually worked on the film, so there’s little doubt it’s as accurate as it can possibly be. Pretty much every toyline that can make Star Wars: The Force Awakens toys this holiday season is, and Hot Wheels is no exception. 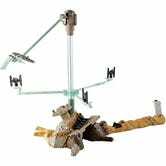 This awesome spinning extravaganza rputs you in control of the Millennium Falcon as it tries to escape from Jakku. Using a control stick to move the Falcon (or any other Hot Wheels ship you attach to it) you can try and avoid the spinning TIE Fighters, or take ‘em out with your slick piloting skills. Before the internet came along, Windows Solitaire was the best way for office drones to while away the hours at work. But did you know it was first introduced in Windows 3.0, with pixelated card designs by Susan Kare, to help teach people how to use a mouse? Those now-iconic card designs are available once again, but as a real-life deck of cards you can use to play a real-life game of Solitaire. Order them here for $14. Do you remember having your mind blown as a kid the first time you peered at the magical 3D images inside a View-Master? Every pull of that giant lever brought you to another eye-popping locale. 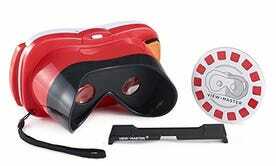 But today’s kids are a little harder to impress, so the new Mattel View-Master takes advantage of modern VR techniques and smartphones to give kids a virtual reality experience on the cheap. Think of it as a more durable kid-friendly version of Google Cardboard, which means even adults can have plenty of fun with it. No dinosaur will ever replace the mighty T-rex in our hearts, but the Indominus Rex—that science experiment gone wrong in this summer’s Jurassic World—sure came close. 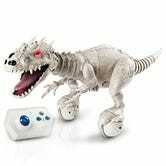 For the film’s release, Spin Master turned its adorable self-balancing Zoomer Dino into the Indominus Rex complete with textured skin, roaring sound effects, and a taste for Chris Pratt. It’s one of the most recognizable and sought-after Ferraris ever made, and there’s a good chance you’ll probably never own the real thing. But that’s ok, because Lego has a 1158-piece replica that’s almost as drool-worthy. Its doors open, its headlights pop-up, and under the rear gate you’ll even find a removable Lego replica of the F40’s twin turbocharged, 2.9-liter, 478 horsepower V8 engine. And it’s available in your choice of red, red, or red! The success of the endless number of themed Monopoly sets seems solely based on how cool the tokens it comes with are. And based on that criteria, the Back to the Future version of the classic game should sell a billion copies, because it comes with a time-traveling DeLorean, a power-lace sneaker, and hoverboard game tokens. 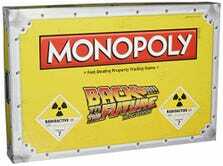 And instead of building houses and hotels, you’re collecting plutonium rods and plutonium cases. Where we’re going, we don’t need roads—but we do need to collect $200. 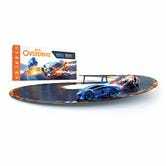 If you remember the slot car tracks your parents used to play with, you’ll also understand why Anki’s Overdrive has made them utterly obsolete. Those grooved snap-together tracks are now replaced with modular segments held in place with magnets. More importanly, now the cars are free to drive wherever they want, and they won’t go off course thanks to cameras underneath each vehicle, tracking their location on the course. Touchscreen smartphones and tablets also replace those pistol-grip slot car controllers of yesteryear, giving racers access to virtual power-ups and weapons to take down their opponents if driving isn’t their forte.